How to Silently Push Apps to your iOS Devices. 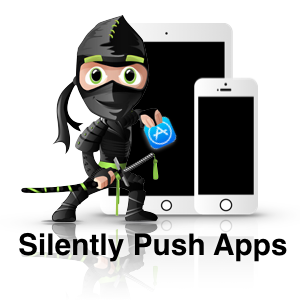 So you want to silently push apps to your iOS devices? Before we show you how to silently push apps to your iOS devices. Let's talk about what that actually means first. So you hear this world enrollment a lot, huh? 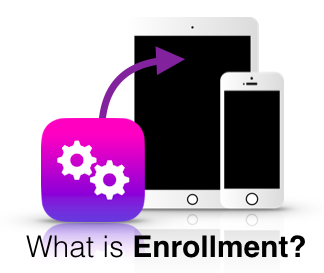 Enrollment a word that is tossed around a lot in the world of iOS Mobile Strategy. It's actually more simple than you may think. Let me break it down for you, and hopefully you can walk away from this better understanding MDM enrollment and why it's important. *Disclaimer* This website is simply a project / test website built on HubSpot and used only for internal training purposes. MobilityBro is a fictitious company that does not offer any products or services. If you have questions about deploying Apple technology in your business, I would highly recommend reaching out to a Business Pro at your local Apple Store or calling Apple's business team directly.